Mojo Moore passed away on October 6, 1996, in Athens, GA. He was born in April of 1989. His "mom", Robin Colleen Moore, regularly mentioned him in several usenet groups. He was a special part of the lives of people all over the world. 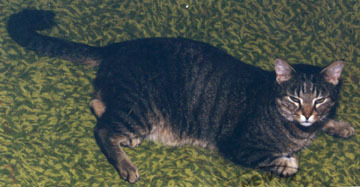 He was featured on a postcard in May 1996. 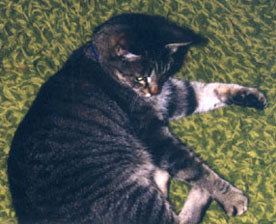 Many of the friends Robin made online visited her in person and had the honor of meeting the feline lord of her household. Comments (old usenet posts, photos, etc) regarding Mojo are welcome.